I am a single, Jesus lovin', creative, educated, brash and sassy southern chick that has been blessed with 2 beautiful children. I'm just keeping it real because that's how I roll! "Giving Without Spending" posts are completely free ways you can help others. 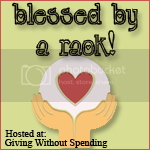 "Giving without spending...much" posts are very low cost ways to help. For example, you may already have an item on hand, but will have to pay to have it shipped to the charity. 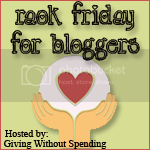 "Random Act of Kindness Friday for Bloggers" is a chance for you to perform a RAOK for another blogger by posting a link to their blog. Full instructions here. If you know of a program or have an idea on how others can give without spending, click on the envelope above and let me know! Little Stellan has been in the hospital now for a week and half. He continues to fight, fight, fight. What a strong little guy! His story is amazing. 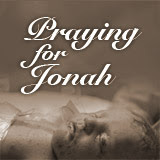 If you're not familiar with Stellan's story, go here and watch the news story that aired tonight. Then, click the image above to visit Jennifer's blog. Most of all, don't forget to pray for Stellan. First, I'd like to apologize for missing the Random Act of Kindness Friday for Bloggers last week. I haven't been feeling well and my blogs have suffered due to this. I'll try to do better this week. I had an idea a last Christmas. I wanted to give the kids in my life a Partners International or Heifer International catalog, with a gift certificate, so they could choose a cause they connected with and would get excited about helping instead of getting. I was disappointed in the catalogs, though. They were to adult and not things that would connect with kids. I decided then that I wanted to partner with different organizations and create a catalog JUST FOR KIDS. already and it was super easy. I know she will appreciate it. Krissy over at Thinking of Blue has bestowed an award upon me. I feel so honored! This is Giving Without Spending's first award. Thank you Krissy! It's Lovely, I'll Take It! Help Celestial Seasonings plant 50,000 trees! For every virtual tree planted, they will plant a real tree up to 50,000. It is simple and easy to do. I've already planted mine! Click here to plant your tree now. Well, another Friday is upon us. Time for us bloggers to share the love once again. The blog I want to share with you today is The Stay at Home Mom's Review. This is a fairly new blog in which Hollie, the author, reviews different products for her readers. I'm enjoying it very much. Please pop over and say "Hi". I know she would be thrilled. What blog would you like to share today? I always look forward to checking out new blogs! And...if your blog was listed, feel free to grab the "Blessed by a RAOK" button on the left. 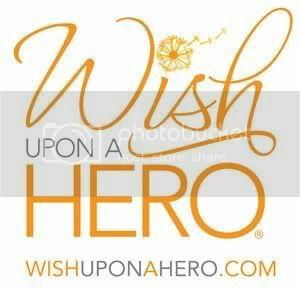 Wish Upon a Hero is a website that allows registered members to place up to 3 wishes at a time. There are many wishes asking for financial assistance and although you may not be able to pay the full amount, a dollar or two would be very helpful. People also ask for clothes, birthday cards for friends and family members, and much, much more. Click the image above to check out the site. You never know...someone may be requesting an item you want to get rid of. This is not an organized program but just a way to help bring Christmas cheer to an orphanage in Mexico. A friend of mine knows a family of missionaries in Tijuana, Mexico (border of CA). This would be a great project for families to do together. Here is a quote from the email I received "If you have Christian Christmas cards that you rec'd in the past, can you cut the pretty fronts off and send them to us before next Christmas? I noticed this year that the kids here love to decorate with them! They have a few from somewhere that they decorated the church with and they all think they are so pretty. They also write on the back of the and give them as gifts to their teachers and friends. It's a nice way to recycle and the kids here love it. Its also good for telling the Christmas story. I would have never guessed how much joy a child could get from a recycled Christmas Card! They don't have to be religious, they can be pretty or cute or wintry, just no Santa Clause, the culture of the church here is very "anti-Santa"." Do you still have cards leftover from Christmas that you have no use for? Think about sending them to these children. Sounds like they will be much loved and appreciated! And thanks Dawn for sending that in. If you know of any programs or charities that fall into the Giving Without Spending/Much category, please let me know. Just click on the envelope in the left column to contact me.